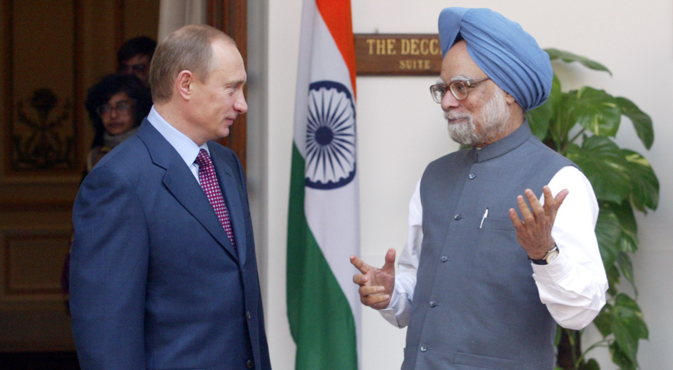 Ahead of his trip to St Petersburg for the G20 summit, Dr Manmohan Singh writes about the Indian agenda at the meeting of the leaders of the world’s largest economies. I leave today for St. Petersburg, Russia, to attend the 8th G20 Summit at the invitation of President Vladimir Putin. The G20 has emerged as the premier international forum for discussing global economic issues. Its 8th Summit will take place against the backdrop of persisting challenges and vulnerabilities in the global economy. Though there are encouraging signs of growth in industrialised countries, there is also a slowdown in emerging economies, which are facing the adverse impact of significant capital outflows. I will emphasise in St. Petersburg the need for an orderly exit from the unconventional monetary policies being pursued by the developed world for the last few years, so as to avoid damaging the growth prospects of the developing world. It is also important that G20 encourages and promotes policy coordination among major economies in a manner that provides for a broad-based and sustained global economic recovery and growth. India has been an active participant in this endeavour as co-Chair of the Working Group on the “Framework for Strong, Sustainable and Balanced Growth”. At the Summit, I will once again emphasise that the G20 should ensure primacy of the development dimension in its deliberations, focus on job creation, promote investment in infrastructure as a means of stimulating global growth and create potential in developing countries to sustain higher growth in the medium term. There is also an urgent need to reform institutions of global political and economic governance. I am happy that the Russian Presidency has paid special attention to these issues in the G20 agenda this year, particularly through a new financing for investment initiative. I look forward to constructive discussions and decisions on these issues during the St. Petersburg Summit. St. Petersburg is also the place where the idea of the BRIC grouping was born in July 2006. As per the practice during the last few G20 Summits, an informal meeting of BRICS Leaders will be held on the margins of the G20 meeting to exchange views on the agenda of the Summit. This will also provide an opportunity to review progress in the implementation of important decisions taken at the Fifth BRICS Summit in Durban on March 27, 2013 and review global developments. The Summit comes at a time when we in India have introduced several reform measures and taken steps to strengthen macro-economic stability, stabilise the Rupee and create a more investor-friendly environment. At the same time, a stable and supportive external economic environment is also required to revive economic growth. The G20 Summit, therefore, is an important forum to seek an international climate that is beneficial for all countries. I also look forward to bilateral meetings with other G20 leaders on the margins of the Summit. First published by Press Information Bureau (Government of India).